A new study shows that black raspberry extract can significantly lower a key measure of arterial stiffness-an indicator of cardiovascular disease. 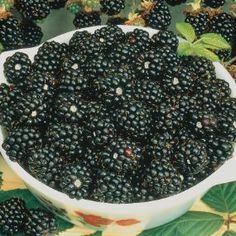 Black raspberry intake was also associated with increased levels of circulating endothelial progenitor cells (EPCs), which help repair and regenerate damaged arteries, according to the study published in Journal of Medicinal Food, a peer-reviewed journal from Mary Ann Liebert, Inc., publishers (http://www.liebertpub..com/). The article is available free on the Journal of Medicinal Food (http://online.liebertpub.com/doi/full/10.1089/jmf.2015.3563) website until May 28, 2016. Jeong Han Saem, Kim Sohyeon, Hong Soon Jun, Choi Seung Cheol, Choi Ji-Hyun, Kim Jong-Ho, Park Chi-Yeon, Cho Jae Young, Lee Tae-Bum, Kwon Ji-Wung, Joo Hyung Joon, Park Jae Hyoung, Yu Cheol Woong, and Lim Do-Sun. Journal of Medicinal Food. April 2016, 19(4): 346-352. doi:10.1089/jmf.2015.3563.